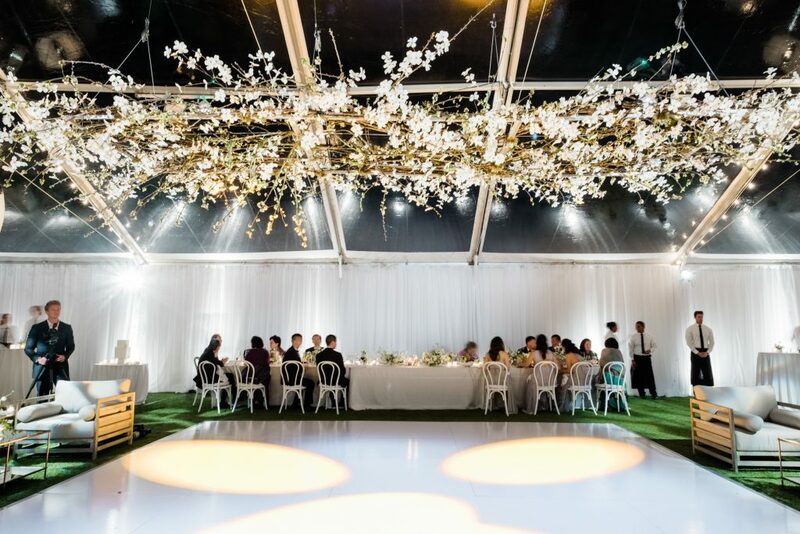 An outdoor wedding was turned into a mystical starry night through the power of a top-notch creative team and some elegant lighting! 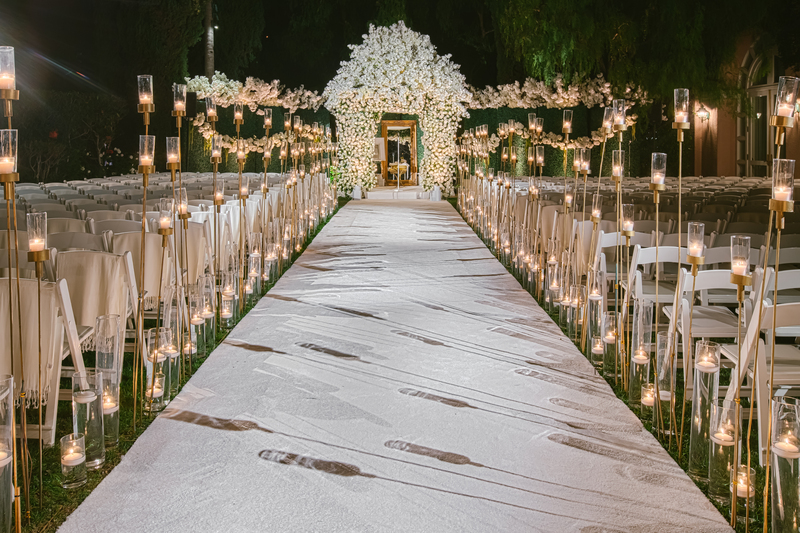 Grace and Ceron’s ceremony was beautiful from start to finish and The Lighter Side team was grateful for the opportunity to light up their night with custom lighting design. Keep reading to see all the details! In a gorgeous green pasture surrounded by a lush mountainous landscape, Grace and Ceron tied the knot in a stunning ceremony that left everyone breathless. It was after the couple said their vows, however, that The Lighter Side truly made their night shine. 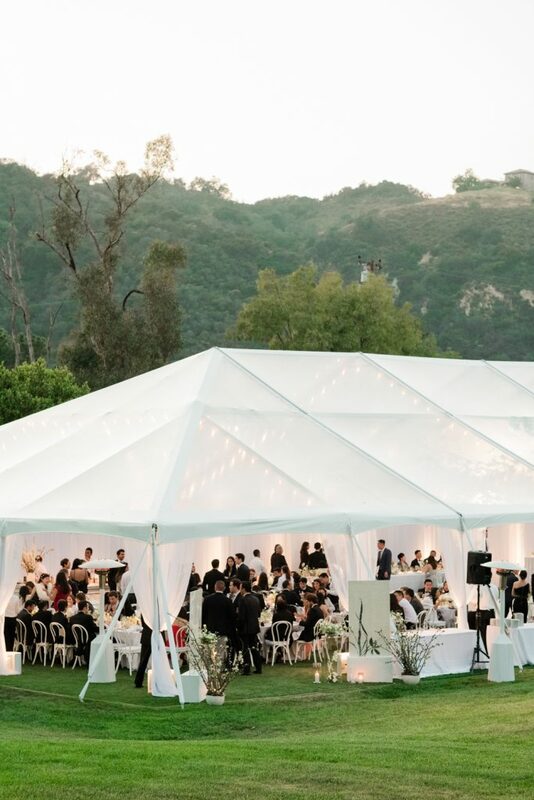 As guests made their way to the reception, they were met with a simple tented setup that dazzled in the dark. 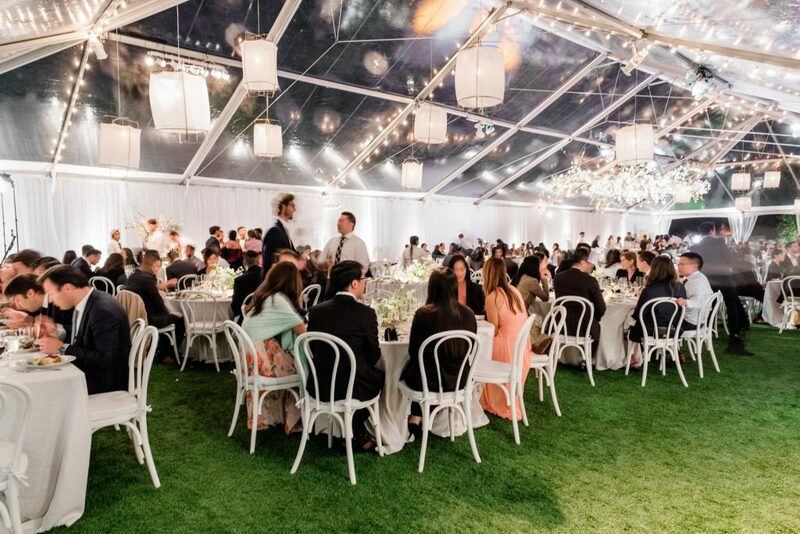 Planner Sarap Park Events teamed up with coordinator Bella Destinee to facilitate the evolution of an unforgettable afterparty. 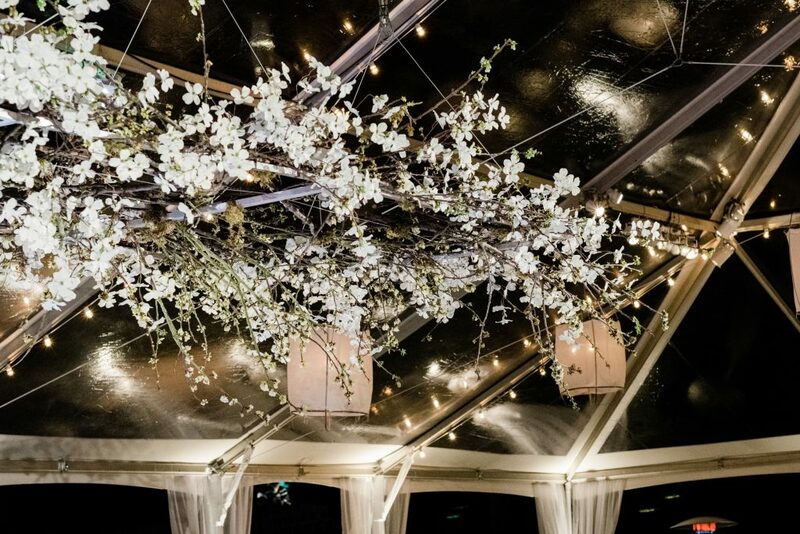 We loved partnering with Premiere Party Rents, Iron Grace Rentals, and Poppy Design Co florals to bring together an atmospheric space that was absolute magic from the ceiling to the floor. 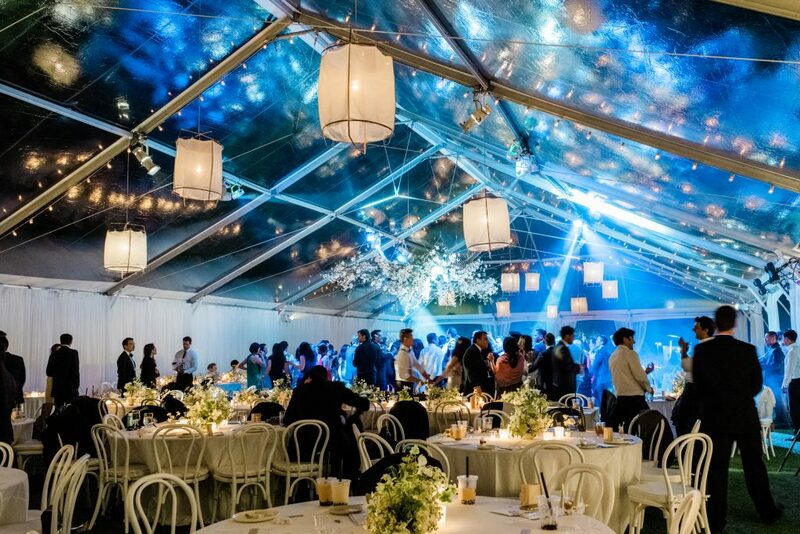 The Lighter Side team wove cool blue lighting into the intricacies of the tenting to create a seamless illumination that set a romantic mood.